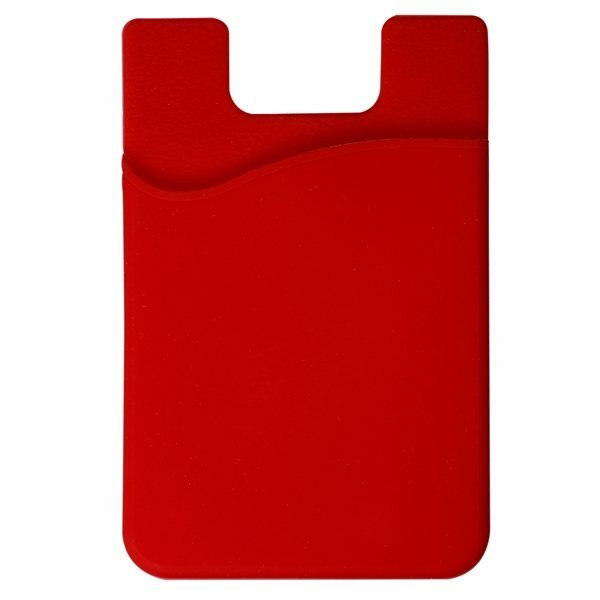 These silicone cell phone wallets from AnyPromo have genuine 3M adhesive that sticks on strong to surfaces without leaving any damage or sticky residue. 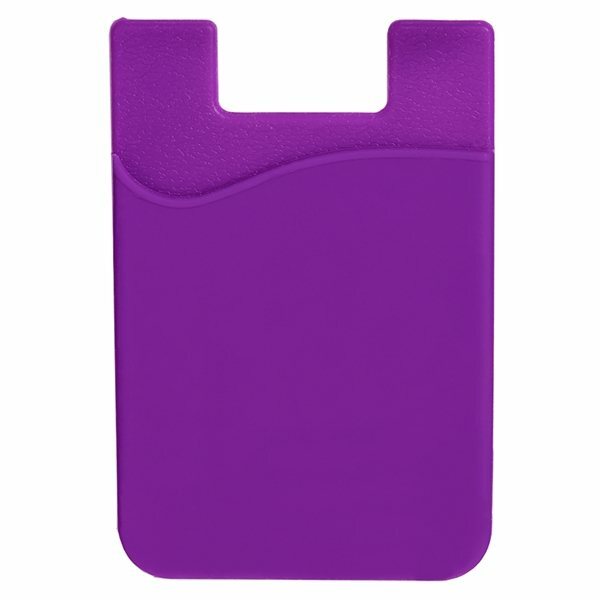 The silicone rubber pocket is flexible and accommodating, but plenty of surface friction to securely hold cash, business cards, or IDs. 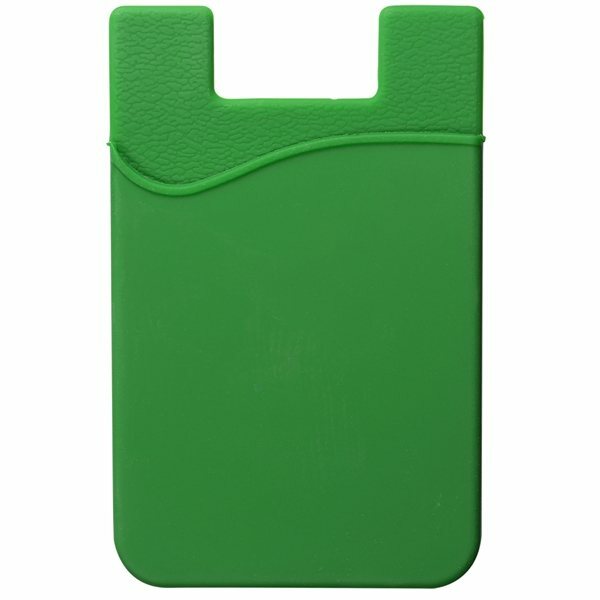 Phone pocket wallets are a great promotional product because pretty much everyone has a cell phone. 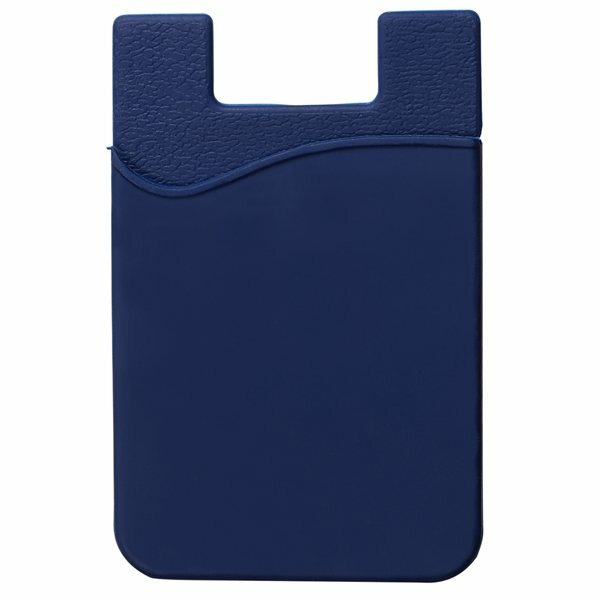 More importantly, smart phones are a universal accessory that people tend to keep on their person and use frequently. 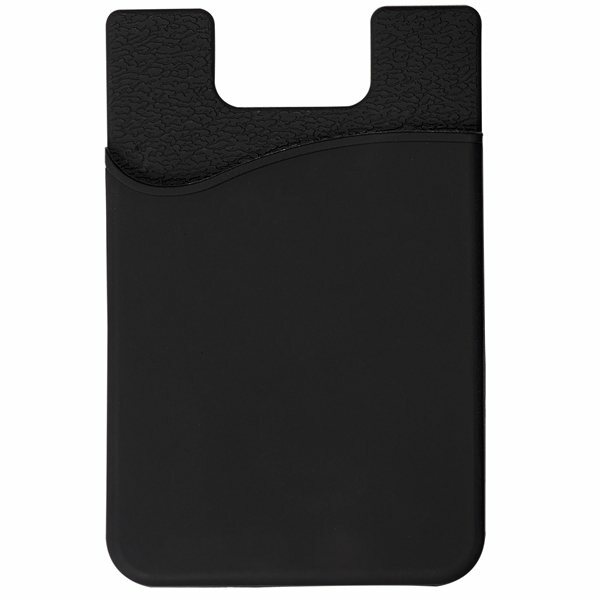 This constant exposure makes cell phone accessories the best kind of opportunity for brand exposure. 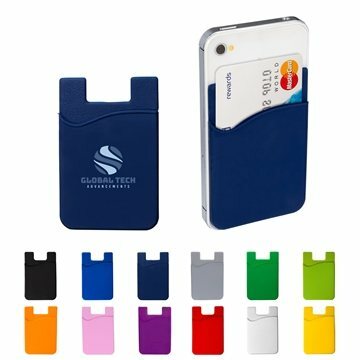 Not only are smart phone wallets great for branding, they are handy. 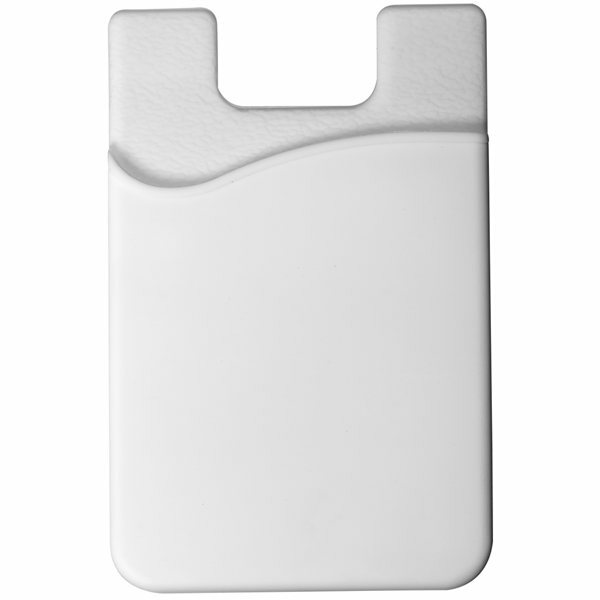 With a silicone wallet on the back of your phone, fumbling through a traditional wallet or purse for an ID is a thing of the past. In fact, you can leave your regular wallet or purse at home. 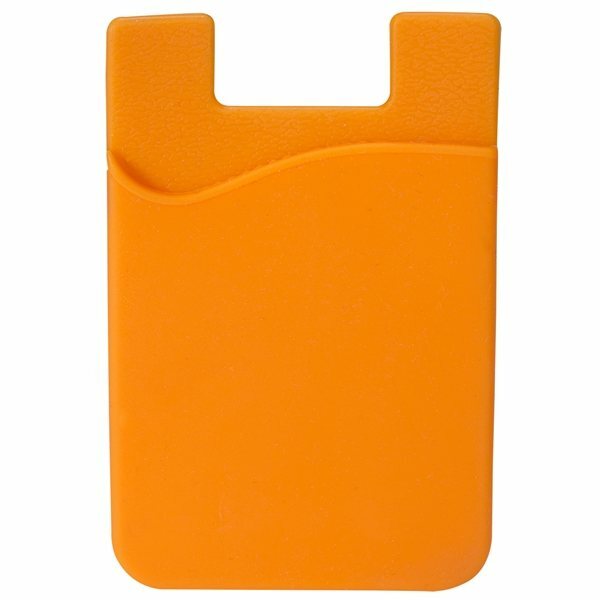 Silicone pocket wallet with removable adhesive backing for cell phone or mobile device. 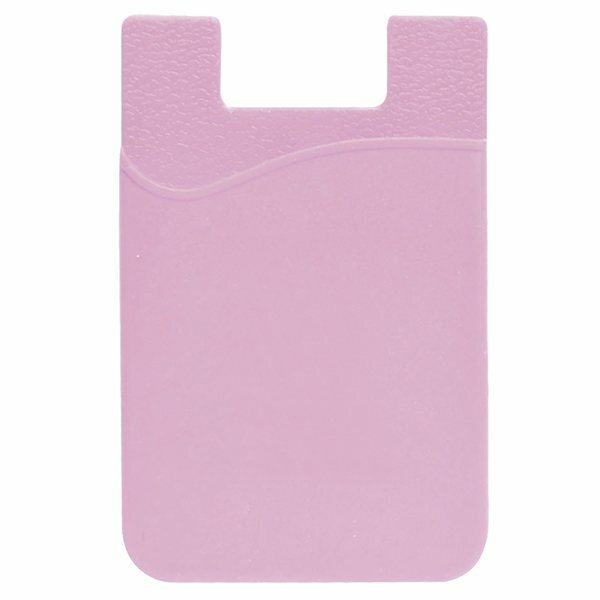 Genuine 3M™ adhesive sticks securely to the back of your mobile phone without leaving residue. 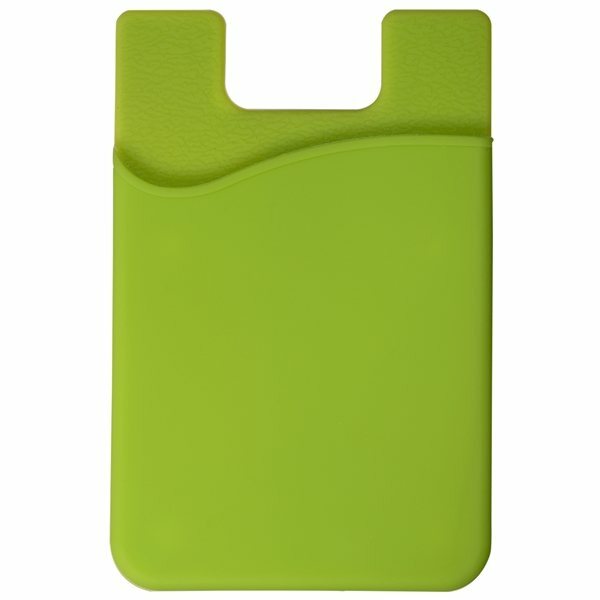 The back features a flexible silicone pocket which can store cash, credit cards, business cards, or a drivers license. 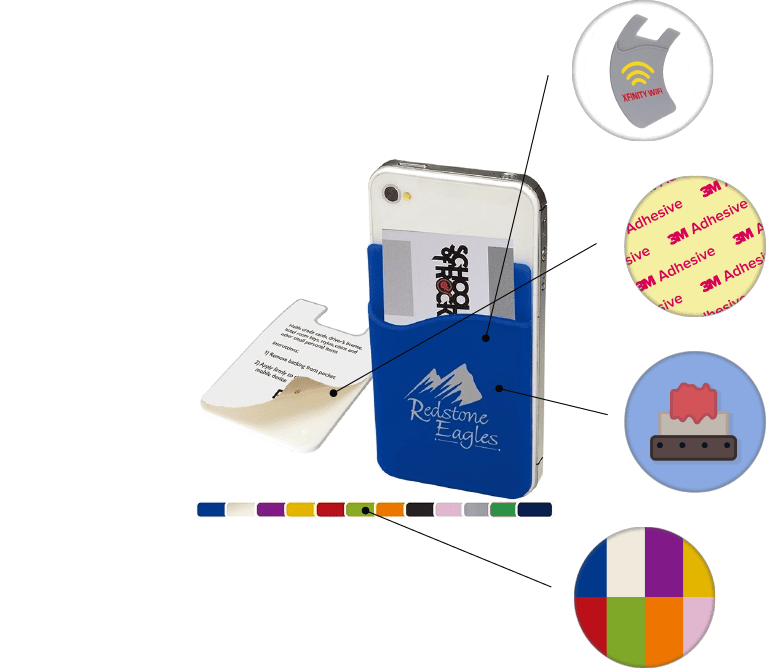 When you put your logo on the back of someone's phone, you'll get brand exposure every time they check for text messages. With a pocket wallet on the back of their smartphone, your customers will be able to head out with just their phone and keys. 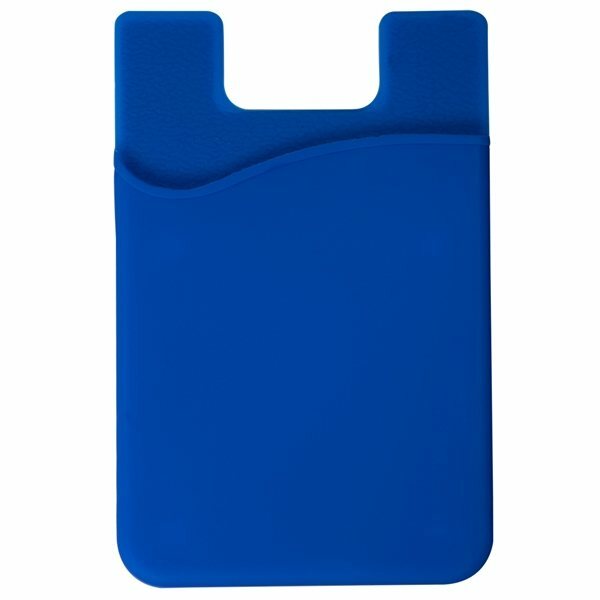 If you find these phone wallets cheaper elsewhere, AnyPromo won't just match the price, we'll beat it. We order a round of these every 2 years and they are perfect for our events! 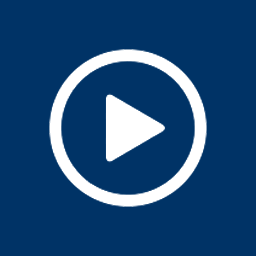 Thank you for the fast turn-around and great customer service! AnyPromo knocks it out of the park again! 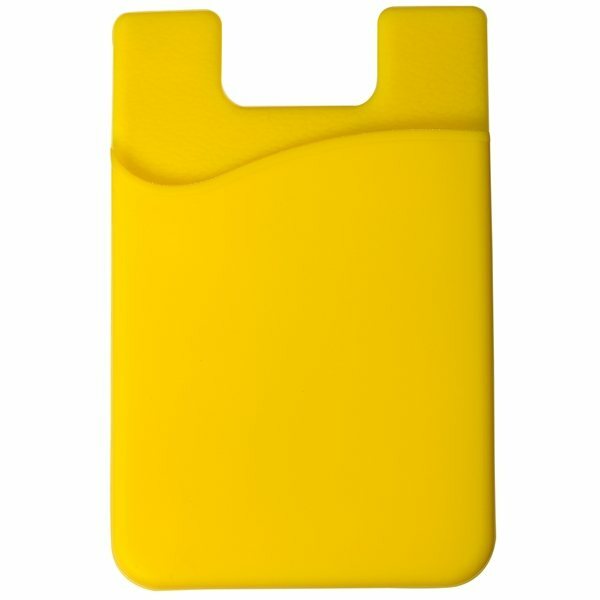 We received our cell phone pocket order yesterday - three days ahead of our deadline. I opened up one bag of the pockets and they look great! Your prices were the best I found online, the cell pockets are top quality (this is our second order) and your customer service is also amazing! I’m recommending that our firm use AnyPromo for our upcoming promotional item orders. Thank you very much! The lettering is clear and easily read. 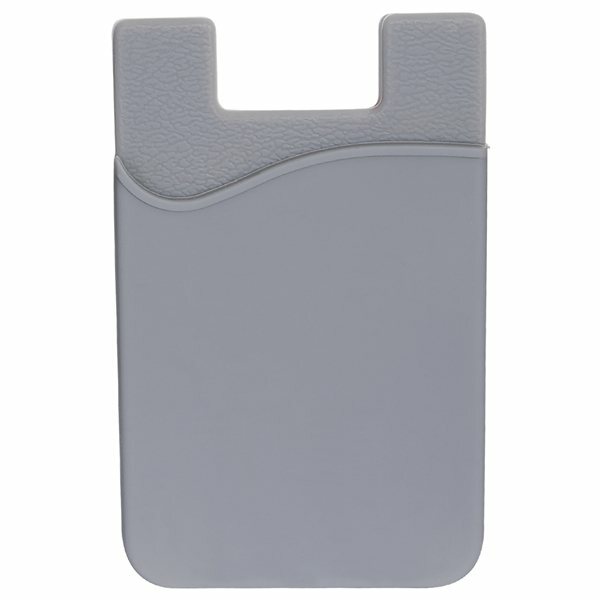 The holder is the perfect size for your cell phone; Pricing for budget marketing.